I grew up around some of the biggest names in Yoga, yet never was much attracted to it. My uncle, violinist Yehudi Menuhin, one of the very greatest if not the greatest violinist of the last century, has been credited with bringing Yoga to the West. In 1953 the image of him in various esoteric positions occupied a number of pages in Life Magazine. In those days, millions of people read Life. But she made an exception for Marlon Brando. She had just taken me to see Brando's Teahouse of the August Moon. She took me to a couple of other movies as well -- The Red Balloon, and a series of the classic Greek dramas produced by the Canadian Broadcasting Company. My mother had known queens and kings and great musicians and writers of all kinds. She used to join the Queen at dinner in Buckingham Palace regularly. She never was overly impressed. But Marlon Brando was different. She giggled like a star-struck little girl while talking to him on the phone. 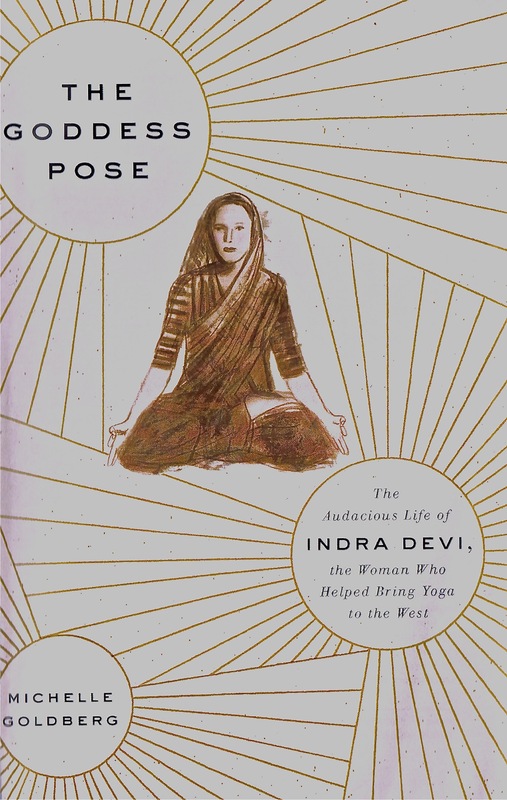 He called her because of Yehudi's Yoga and they talked a bit--I presume she referred him to Indra Devi, who I didn't know was well on her way to becoming a major star in the Yoga pantheon, known by the exalted name of Mataji, or mother. I took a few desultory lessons from Indra at a studio on the Sunset Strip. They tried to get me upside down, which I did against a wall, not very well. Afterwards we would go to her home in the Hollywood Hills, a bright airy comfortable place if memory serves. On one special occasion, we went to her home directly. Then Devi took me to Farmer's Market. We were alone. My mom was not invited. Indra hoped to convince me of the virtues of a vegetarian hamburger. I was constitutionally unable to eat one. I figured I wasn't born with canine teeth for nothing. I don't know if I was making a defiant point with Indra, or I felt really bad for failing her. Either was possible. Finally in the mid-1970s and no doubt in great exasperation, Yehudi sent me to see his good friend Laura Huxley, the wife of the great writer Aldous Huxley, who lived almost directly below the Hollywood sign in the mid-70s. Yehudi and Laura had been child violin prodigies--Yehudi was better known, of course. But that was their bond. Yoga was also thrown into the mix. I told Laura I was only doing this to make Yehudi happy. I respected Yoga for the fact that it was terribly important to him. During the transition from child prodigy to adult violinist, Yoga was what enabled him bridge the chasm. Most of the time, child prodigies are not successful in doing so. So who was I to deny Yehudi the joys of passing a string through his nose and mouth if it enabled him to deal with the DNA he got at birth? I met with the Yoga instructor in Laura's front room. I said that I thought lessons would be a waste. She understood--but a few days later called back. She wanted to ask my help in a difficult situation. Her daughter was a volunteer with Ted Derby, a former movie animal trainer who had a magnificent collection of animals that needed rescuing when he was murdered in Tehachapi. Her daughter had been a witness to that murder. I had known Pat and Ted Derby for years. I got deeply involved in the story, writing about murderous human beings and my growing respect for ravens, African Grays, elephants, killer whales, orangutans and bonobos, who are less murderous than homo sapiens. I did learn something. I started learning of other sentient beings who live on the planet with us. Once again the decades rolled by without my thinking much of Yoga. Then one day in 2002, I read in the Los Angeles Times about Indra's death at 102 years of age in Buenos Aires. It was a long story. Apparently she had become a celebrity as a wave of Yoga spread south of the border. As a youngster in pre-revolutionary Russia--her birth name, of course, was nothing as exotic as Indra Devi--she first fell in love with the works of Indian poet Rabindranath Tagore. That is how her spiritual journey toward mysticism and Yoga began. She went to India and ended up affiliated with a number of Yoga's greatest gurus. She was an early devotee of Sri Tirumalai Krishnamacharya, for example, known as the father of modern Yoga. One fine day I got a visit from Michelle Goldberg, who I knew a bit professionally. She was also an MSNBC commentator, and I was honored she wanted to talk to little ol' me. She was writing a book about Indra for Knopf. I told her my little story about Indra, but confessed I didn't think I had anything of great value for her because I had only known Indra as an ignorant and arrogant kid. Nonetheless, Michelle sent me an advance copy of The Goddess Pose: The Audacious Life of Indra Devi, the Woman Who Helped Bring Yoga to the West, which is to be published this June. Michelle's book explained a lot to me I had not understood--and just to make sure, I talked with one of the leading figures of the counter culture, Art Kunkin, who founded the Los Angeles Free Press, the first of the underground newspapers in the '60s. In 1990, Manley P. Hall, author of The Secret Teachings Of All Ages, died. Kunkin took over from Hall and was named the president of the Philosophical Research Society. It has a handsome building on Los Feliz Boulevard in the Hollywood area, housing one of the world's greatest collections of esoteric writings. I asked Art what he knew of Indra Devi. "I haven't thought of her in years," he said, "but I was very impressed by her." Kunkin's newspaper reflected the counter culture, which somehow embraced radical political activism and the mysticism. The materialists say the idealists are not scientific, and the idealists say the materialist misses the larger picture. Art went from being a Trotskyite in the late '40s and hence a self-confessed dialectical materialist as publisher of The Militant. Later he was a Tantric yoga, a Tibetan Buddhist and today an alchemist who says he will live forever. His was the more typical odyssey of the Counter Culture person, rather than a mystic becoming a materialist. I remain in the latter category. I have respect for my own mystical feelings--and I know that they are important to the craft of writing. But I distrusted Indra a bit because she had been born a white Russian, who often had proclivities to the Mystic east and the occult. Think Rasputin. Still, Devi crossed the boundaries between mysticism and materialism with ease. In 1960, she met with the top leaders in the Kremlin to sell them on Hatha Yoga. She was with Premier Aleksei Kosygin, Foreign Minister Andrei Gromyko and the chairman of the Supreme Soviet, Anastas Mikoyan. They queried her about Yoga's spiritual content, and were assured there wasn't any. And it is true that Hatha Yoga emphasizes the physical, but only because it believes that spiritual enlightenment will follow physical renewal. Still, it might have been the ultimate con job, her meeting with the Bolsheviks. Indra and her mother as aristocrats had escaped the Bolsheviks, first by going to Berlin--remember the Weimar years were jut beginning--and then ultimately to the mystic East, Hollywood and Latin America. Indra's mother was an actress, and Indra for a while was an early Indian film star. She also probably did not emphasize to Gromyko her early fascination with Theosophy, "The grandmother of today's New Age movements," as Goldberg put it. Madam Blavatsky had a lot to do with the founding of Theosophy and was like Indra a Russian aristocrat. Kunkin's Philosophical Research Society in Los Angeles is in part a part of Theosophy. Blavatsky first arrived in the United States via Paris in 1873. She was something of a charlatan, but also sincerely believed in "hidden worlds" and esoterica of many kinds and had supported herself as "an itinerant clairvoyant." Theosophy had a Hindu bent, with a large nod to Yoga. It was big in Europe, the United States and India. India's first prime minister, Jawaharlal Nehru, as well as Ghandi and such assorted personages as Oscar Wilde and W.B. Yeats, were influenced by Theosophy. Ghandi credited Blavatsky with making him study his own Hinduism. Nehru was also very much a man of reason, of science and logic. But what particularly drew him to Yoga was the idea that it was an antidote to the pernicious portrait of India from the British when they ruled it as a colony. Thus Yoga became something of a point of pride in India. As an idealistic young leftist, I was proud of my uncle's relationship with Nehru, who was an open socialist. There also had been something going on between Nehru and Devi. Indra was asked to perform a dance for Nehru, and afterward she sat with him on a low Indian divan. They were both flirtatious. Devi was fascinated by Nehru's spiritual fortitude that enabled him to survive years in and out of jail. Yehudi met Nehru when the latter threw a state banquet for him in 1952. Yehudi had bragged in interviews that day about standing on his head. That evening, Nehru asked Yehudi to demonstrate. Yehudi did, and Nehru told him that he had a ways to go. Nehru introduced Yehudi to B.K.S. Iyengar, regarded as one of the greatest Yogis India ever produced. Yehudi and Iyengar became very close. Even though Iyengar did not know about music, Yehudi said he had been his best music teacher. Goldberg says it was "thanks mainly to Menuhin... Iyengar became an international celebrity." Michelle has written well and honestly about Indra and the cast of characters who make up the Yogas in the East and the West. She describes how Indra could be variously charming, sympathetic and warm, but also ambitious and ruthless. As her husband lay dying, she took off to other parts of the world. And she had a habit of hooking up with men who could help her, then discarding them along the way. Michelle is a Yoga devotee, but she's also a journalist. In more or less muted terms with not a hint of manufactured outrage she describes how some of the "saintly men" were scalawags and sometimes thugs, and her protagonist not entirely a saint. Indra was close with Satya Sai Baba, who she learned was sexually assaulting his young male acolytes. She continued to believe he had real magic, but she was disgusted by some of what she had learned. She had been Sai Baba's person in the West, but she stopped, without saying exactly why. The last act of Indra's drama was set in Latin America. There, "Mataji" became a bigger celebrity than she had been in Asia, Europe or the US. How much did Indra serve "the better cause." Well, if Yoga is the better cause, she was absolutely necessary to the way Yoga was partially brewed outside of India. Lionel Rolfe is the author of a number of books, most of which are available on Amazon's Kindlestore. Some are available in paperback.